When many people hear the word "percussion" they think of drums, but percussion is actually a category of instruments that includes cymbals, xylophones, marimbas, timpani, and a variety of small rhythm instruments. 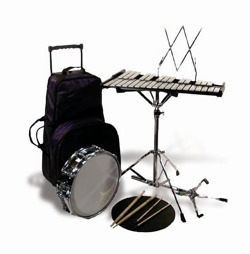 Percussion generally means any instrument that makes its sound by being struck. 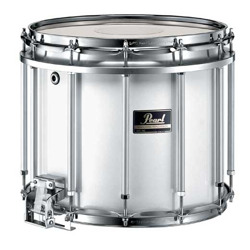 Percussion instruments can be bold and exciting, like the snare drums in a marching or parade band, but they can also be subtle and sophisticated like the triangle and wood block in many ballads and concert band pieces. Percussion instruments provide the rhythm in almost all music, but they can also provide melody and harmony as with xylophones, bells, steel drums, etc. Percussion instruments aren't difficult to learn but a percussionist has many of them to learn. In one performance a percussionist might play timpani in one piece, marimba in a second, snare drum in another, then switch between cymbals, wood block, chimes, and shaker in another. And here are some of our favorite percussion performances and some cool percussion tips and tricks. We serve the Memphis and Nashville, Tennessee areas. Call us for more information!